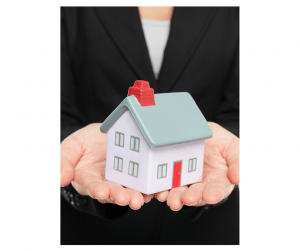 The Listing Agreement: Do I have the right to terminate early? A seller enters into a listing agreement for the sale of his house with a Realtor and then, for whatever reason, changes his mind. Does he have the right to unilaterally terminate the listing agreement? Sometimes sellers think of it this way: Unlike many contracts where there is an exchange of money for services or money for a product, under a listing agreement, neither party has spent anything nor delivered any product or service, so why not? In the service industry, as Abraham Lincoln famously said, the professional’s “time and advice is his stock and trade.” (Old Abe said that about attorneys, but the same is true for Realtors and other service professionals). Thus, a Realtor takes significant time pricing a listing, positioning it for the market, and then exposing it to its network of brokers, buyers and investors. Many times, Realtors have expended real money on photographers, videographers, marketing materials, electronic and print ads, title work, and other out-of-pocket expenses. So, one could argue, the Realtor has spent significant effort and in some cases money on that listing even though much of it may not be immediately visible to the seller, and although no results may have been reaped from those efforts. So, the contract is “for consideration,” and the Realtor could experience a real economic loss from the early termination of a listing agreement. Now, the seller may further reason that no commission is due unless a further condition is met — that the seller accepts an offer to sell his home. While this is close to being true, Ohio law further provides that a party must perform under his contract in good faith and cannot through his bad faith cause or trigger non-performance. So, refusing to show a home or failing to consider an offer presented in good faith could be the basis for a claimed breach of contract by a Realtor. Still, as a practical matter, if a seller does not want to sell any longer, he does not want to sell, and further Realtor efforts to market the home may be wasted. Thus, we frequently see that Realtors — as a practical response as well as out of the goodness of their hearts — may cooperate with a seller in taking a home off the market, with little or no cost to the seller for “changing his mind.” But is should not be thought by the seller as a matter of right once the listing agreement is signed.